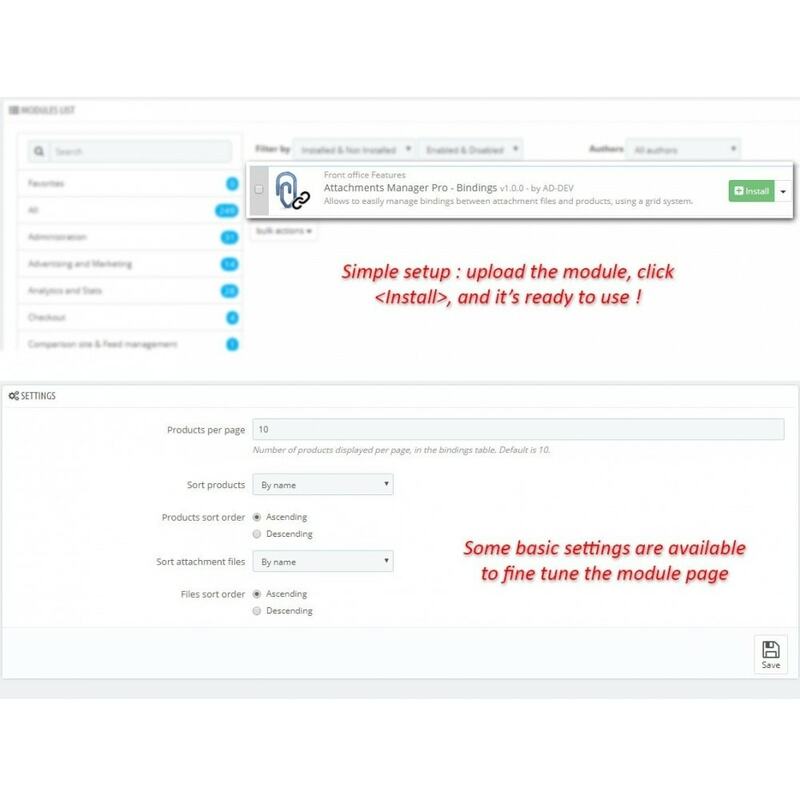 This modules allows you to bind attachment files to your products, quickly and easily, by using a grid of checkboxes. Stop loosing time binding attachment files one by one ! 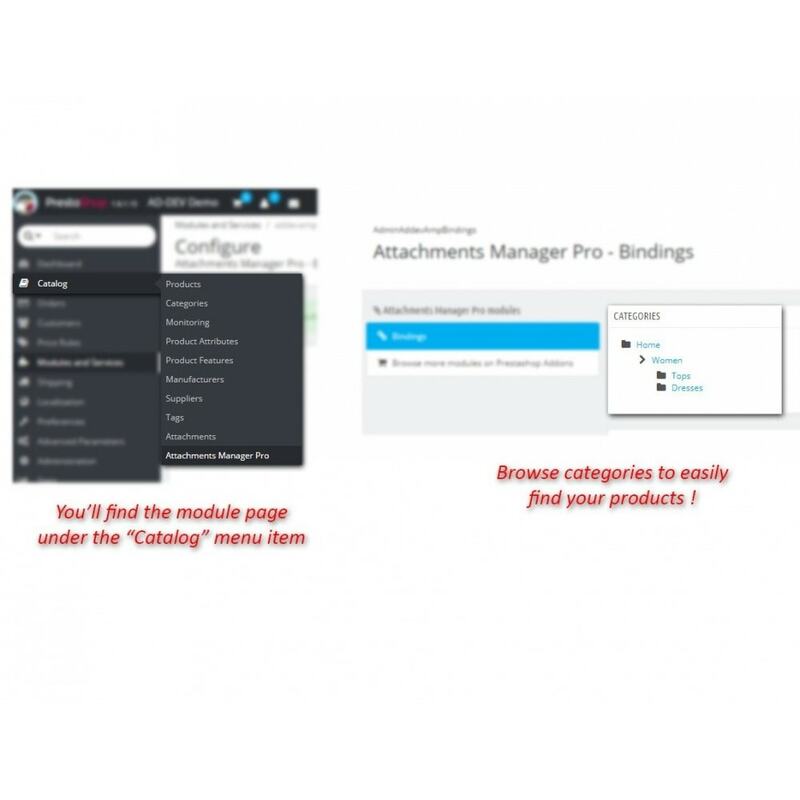 Browse categories to find your products, and easily manage bindings with your attachment files ! Quicker binding process means you'll be able to take time to attach more files needed for the customers. No specific setup : upload the module on your server, and it is ready to use. Settings are available to fine tune the module page, if needed. This module allows you to set a custom availability value for out-of-stock products, helping you giving more precise informations to your customer. Allows to select language(s) for attachments, making them appear on the frontend only for those languages.Useful if you have products with lots of attachment files in different languages (e.g. user manuals).